In its profile on the social network Facebook, Anonymous Hispano said the Comfil site was "hacked for supporting Benedict XVI." Benedict is scheduled to visit Mexico Friday through Monday, prior to a three-day trip to Cuba. In a video that was posted on YouTube, the hackers said that the pope's visit comes at the start of the campaign ahead of Mexico's July 1 presidential election, and that it seeks to benefit the ruling-party candidate. The Roman Catholic church, the video said, seeks "to keep the population shrouded in lies." 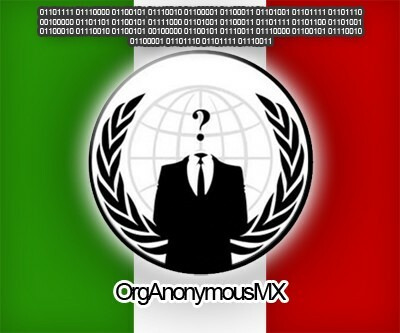 According to Anonymous, the pope will not see either the poverty or the violence that are ravaging Mexico. He will instead encounter "a country of lies and facades where everything will apparently be wonderful," the cyberactivists said. Anonymous has conducted operations in Mexico before, targeting the notorious drug cartels in the past when members of the hacktivist collective were held captive by the Mexican warlords. In an explanatory message on Pastebin in Spanish, Anonymous Hispano posted a manifesto of sorts, titling the cyber-attack "Operation Freeloader," in a reference to the Pope.